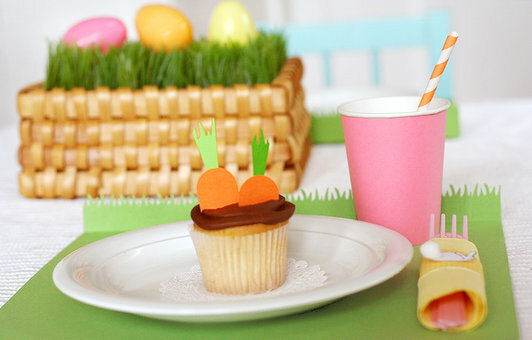 Carrots and bunnies are the inspiration behind all of the cute decorations and party ideas for this fun Easter Party theme that Lisa put together. 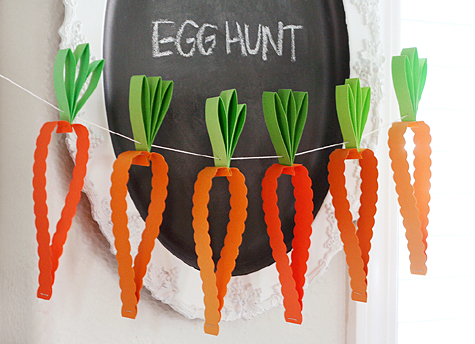 You can check out how to make everything form the cute carrot garland to the Easter bunny invitations for this Egg Hunt Party over at Fiskars. I'm in the middle of planning our Easter party right now, and the theme is carrots and bunnies - now to find room for that amazing banner!! !